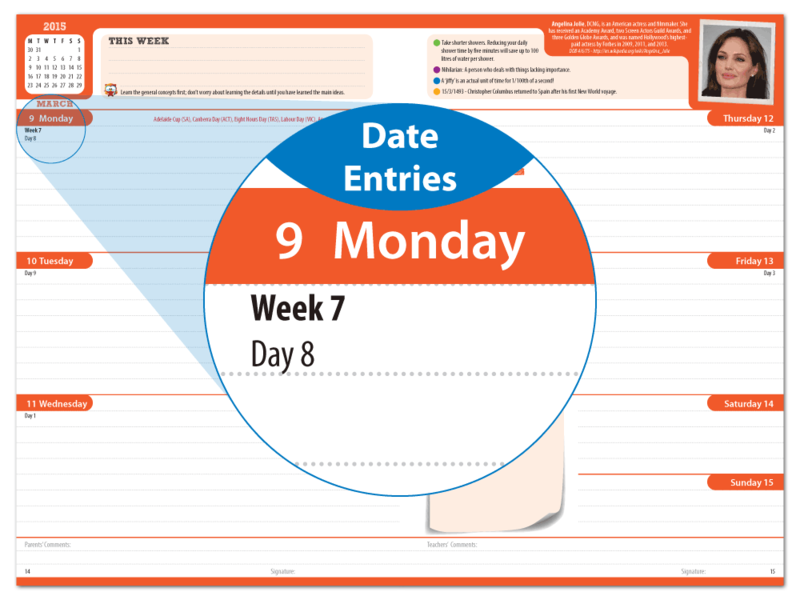 Date entries are a content option available in conjunction with ‘Standard Layouts’. If desired, you can put information and text specific to your school within our Standard Layouts. These “Date Entries” allow you to deliver messages to students on particular dates to remind them of upcoming events such as ‘Pupil Free Day’ or ‘Sports Carnival’. Date Entries are most cost effective when ordering 500 or more diaries.